If you wanted a nomination in 1983, all you had to do was open a bottle. 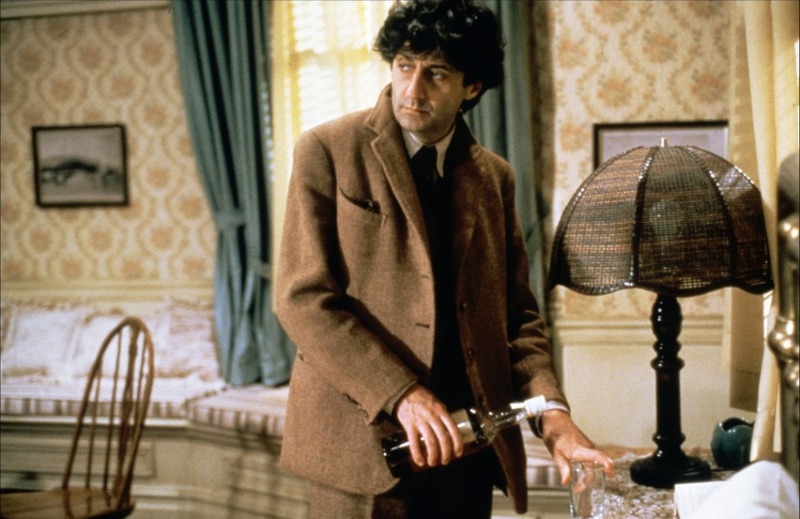 Of the five nominees for Best Actor, four of them are hard drinkers, whether active or reformed. In Educating Rita, Michael Caine plays Frank Bryant, a literature professor who begins private tutoring sessions with a working-class woman. His failure as a poet has brought him to the bottle - he keeps a stash behind a copy of alcohol epic The Lost Weekend. The drink has driven his girlfriend right into the arms of one of his colleagues. Did I mention it's a comedy? In Reuben, Reuben, Tom Conti plays another poet, Gowan McGland of Scotland, based largely on poet/womanizer/alcoholic Dylan Thomas. He comes to a small town in New England to give talks and lectures, and seduce the local bored wives. The Reuben of the title is a dog Gowan befriends; his owner is the grandfather of a much younger woman Gowan falls in love with. This is Conti's first and only nomination. 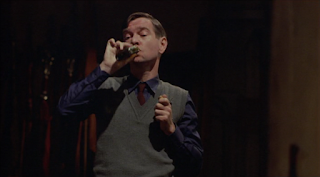 Tom Courtenay is the title character of The Dresser, whose entire life is devoted to serving a Great Shakespearean Actor - and in between breakdowns, comforts, truth-tellings, bitching, and gossip, he nips from a bottle, and is quick to replenish the supply when he runs out. Albert Finney, as the Great Shakespearean Actor, does not need to imbibe, for he is already losing his mind, and surely that's just one bit of madness too many. 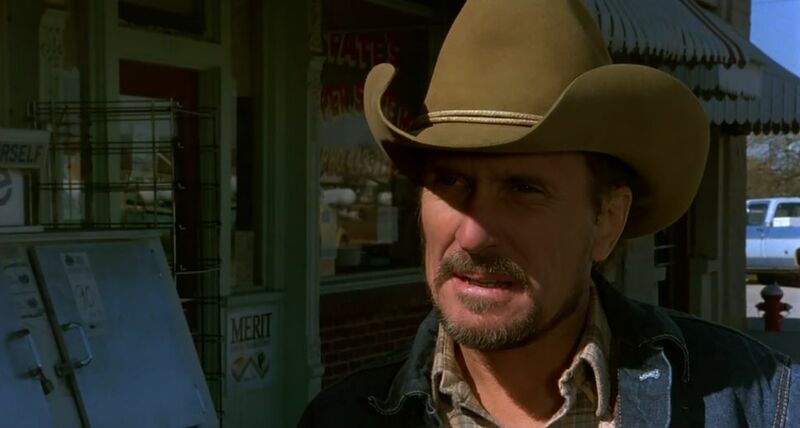 In Tender Mercies, Robert Duvall plays former country music star Mac Sledge - he has hit rock bottom at the film's beginning, and is more or less forced to sober up by the widow he eventually falls in love with. It's distinct from the rest for a number of reasons: the other performances are from films based on plays (Reuben, Reuben is based on a play and a novel), whereas Tender Mercies is an original screenplay. 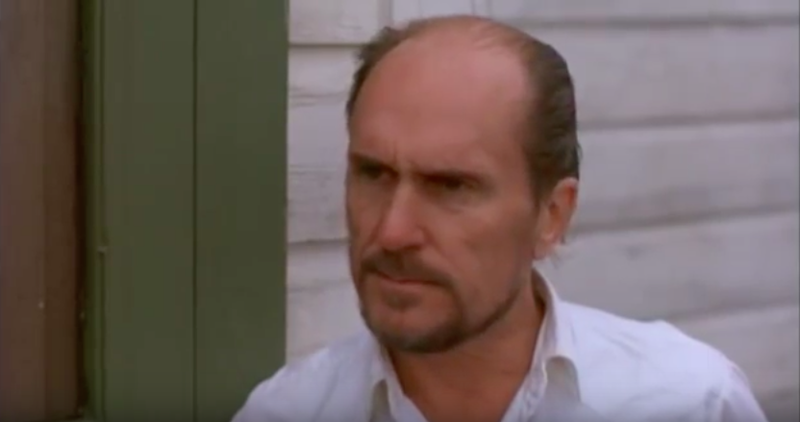 Not only that: of the five, Duvall's the only American! Small wonder, then, that he won. Hollywood toasting a native son? Or was he truly deserving? My thoughts, after the jump. Caine himself regards this as one of his best - he's not wrong. With every opportunity to play the big drunk, or to aim for the big laughs, he instead plays it quietly, never forgetting that while this man is clever and witty, he's also pitiable. 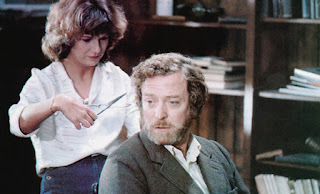 It helps, of course, that he has a dynamite scene partner in Julie Walters. A frustrating character to be around, this drunken Scottish poet; fortunately, he's supposed to be. I applaud Conti for not sanding the edges: in one scene, he just barely considers whether or not he should schtup a married woman after supposedly finding he's in love with someone else. A good listener, too. 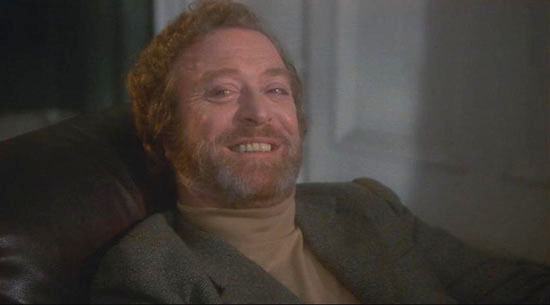 I do give him some extra snaps for his role in Merry Christmas, Mr. Lawrence. 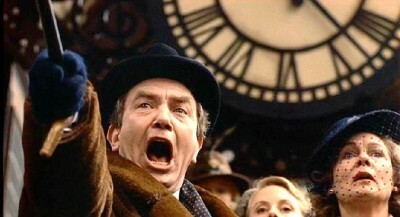 Sometimes I think his performance is great, as every line reading evokes a certain comic pathos. Other times I feel he's playing it scene by scene, not quite the whole character, not exactly the full relationship. Oddly, he fares better in the comic moments than he does the dramatic ones. A quiet, introspective performance. Duvall brings the tenderness (yes, yes) of this reformed boozer out in small ways: he subtly moistens his lips when he could use a drink, he casts his eyes down in vulnerable moments, his eyes gleam when he grins, and when he sings, you can almost see him blush. Duvall disappears. I can't tell if this performance is way too much or just right. 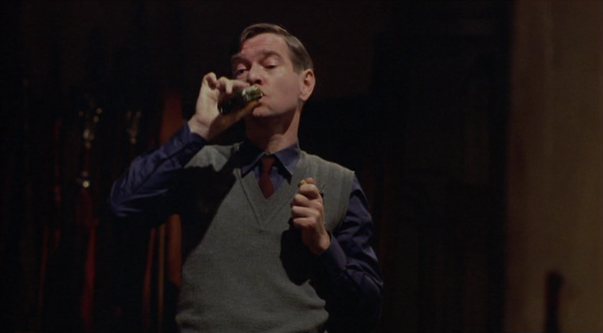 Finney enters at eleven and doesn't often stray from there. 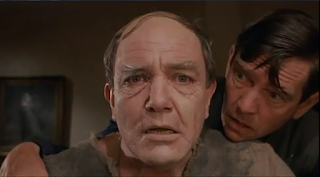 His scenes as Lear are great, executing a performance within a performance, without seeming like it's just Finney doing Shakespeare; it's convincingly Sir. Still, I dreaded moments alone with him. This is just the beginning, folks. Tomorrow, the nominees for Best Art Direction-Set Decoration: Fanny and Alexander, Return of the Jedi, The Right Stuff, Terms of Endearment, Yentl. And Friday, the nominees for Best Supporting Actor: Cross Creek, The Right Stuff, Terms of Endearment, To Be Or Not To Be.